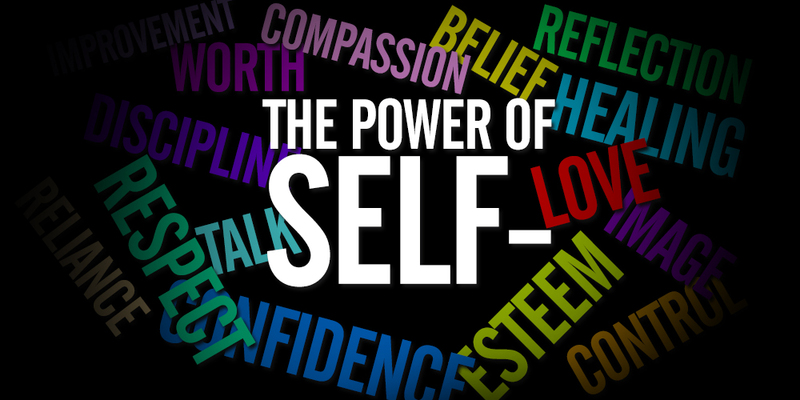 One of the most important tools we have is the power of self. I am constantly talking to my kids about this power that we tend to under utilize. If you believe in yourself then this power is truly unlimited. If you don’t believe in yourself, then nobody else will. All your dreams and aspirations require you to tap into your self-confidence. Whatever that thing is that you are working for, hoping and praying for, that self-belief to see it through is going to come from within. So you can never stop believing. Even when you fail or it becomes unbearably tough, even when you can see the finish line, self-discipline will help you persevere. I know you’ve heard the saying blood, sweat, and tears, those are all part of the building blocks of your self-reliance. Every milestone will build your self-esteem and ever victory will reinforce your self-sufficiency. Trust and believe all of your up’s and down’s lead to self-improvement. As you continue to invest in the power of self your self-love will also grow. Amazingly all of this power resides inside of you. It is there waiting for you just past any self-doubt.